Yeh, was the first thing i noticed too aye haha, anyway from look i would say this is a mg42? perhaps he’s commanding us to greet Hitler? The MG3, which is used by the Bundeswehr until today is based on it. 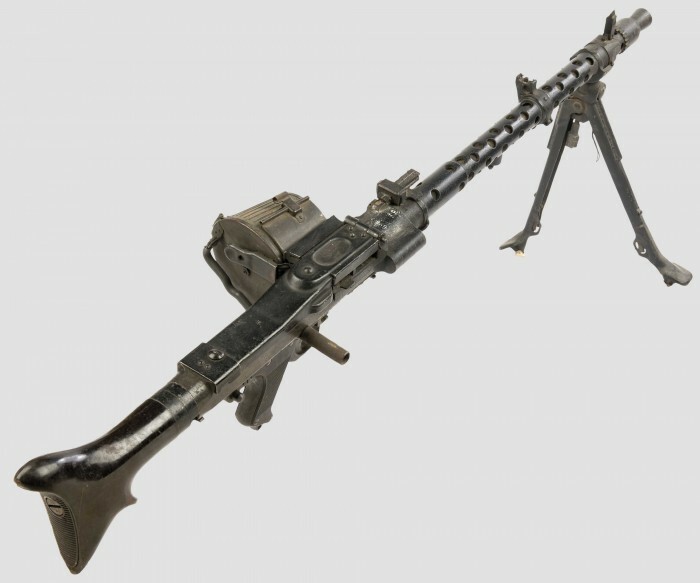 The Mg3 is in my humble armoured opinion, one of, if not -the- finest machine gun(s) in the world. I wish the bottom of that photo hadn’t been clipped. I would have liked to have seen that Stg-44 and PPsh-41 in their entirety! All three are some of the finest examples of WWII smalls arms ever created (IMHO).